Happy Halloween! I hope everyone is as ready and as excited as my kids are for tonight’s tricks & treats. Sometimes I think that Halloween is my favorite holiday. I love dreaming up and making new costumes, and I am for sure a candy fiend. I love carving pumpkins too! The only part I’m not so into is being scared. I try to avoid all haunted attractions and horror movies. 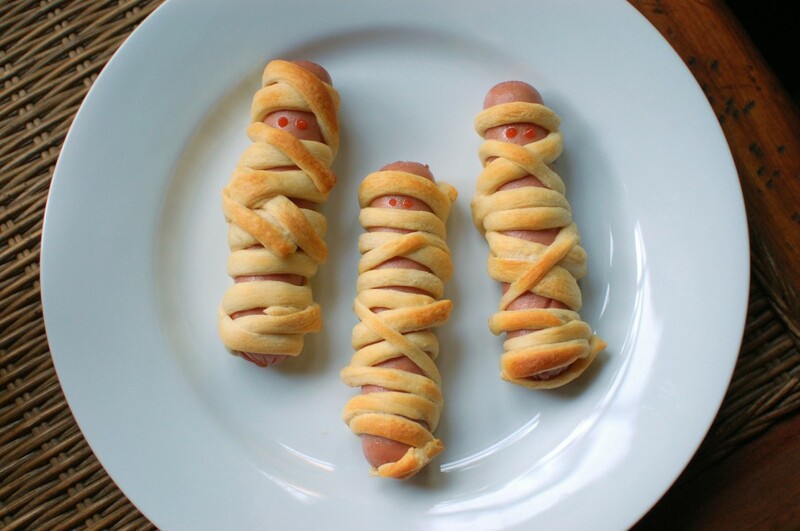 Last night we ate hot dogs dressed as mummies for dinner and dipped apples in caramel sauce for desert. We also carved our pumpkins and snacked on some roasted pumpkin seeds before bed. My kids costumes are all set and waiting to be put on after dinner tonight. Tonight promises to be a delightful night! 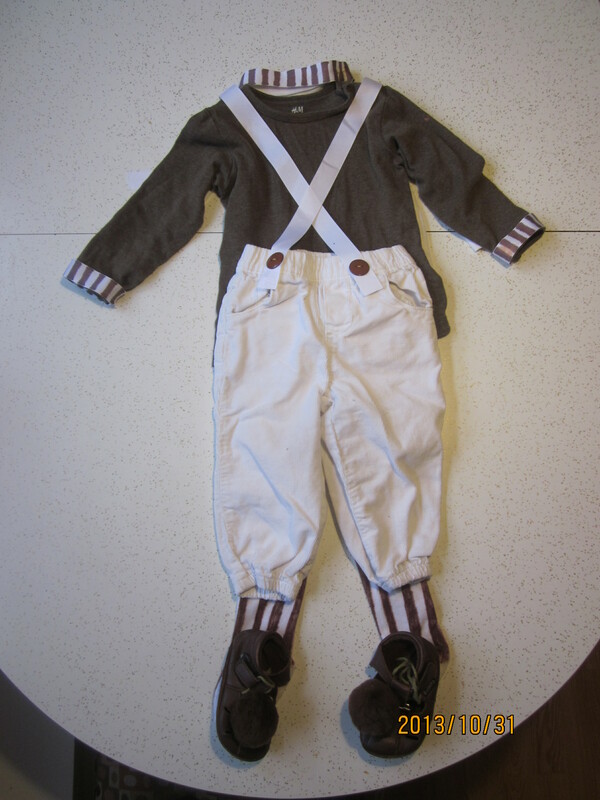 My daughter (1) will be an Oompa Loompa complete with green hair and an orange face. 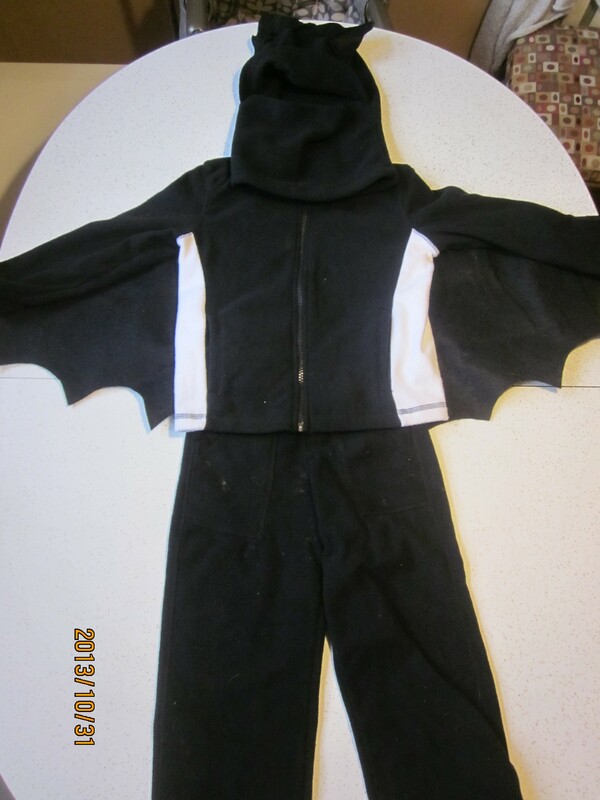 My son (3) will be a “super” bat. I’d love to see pictures of your kids’ costumes. Creepy, Crawly, Slimey Worms and Flies! I simply boiled up some spaghetti noodles and cooled them down in the sink under cold water. I dried them off a bit with a kitchen towel and dumped them into a large shallow bin. Then I dumped a packet of plastic flies that I found with our Halloween decorations. I gave them each a pair of plastic tweezers (one from a bug catching kit and one a pair of kitchen tongs) and let them play. A moment to acknowledge the small things that make life joyful. What are the small things in your life? Check out this podcast if you have an hour to spare…I know, I know. It’s worth finding the time though. …and if you do, I’d love to hear your thoughts. New Freakonomics Radio Podcast: â€œThe Economistâ€™s Guide to Parentingâ€. Barn dances, and (kinda) haunted trails. Friday night out with family. What are the small joys in your life? watching the “spooky, Woody” show (the new Toy Story special that was on TV Wednesday night). Watching a new holiday special on nonrecorded TV, brought back memories of my childhood when these specials would mean that my whole family gathered around the TV to watch. My son was shocked by the presence of commercials. Funny how things have changed in 30 short years. Makes you think about all of the little things that we took for granted that our children will not understand in the same ways. Can’t say I’m disappointed that my kids don’t know what commercials are though. How was your week? Anything fun happen? Have a great weekend!